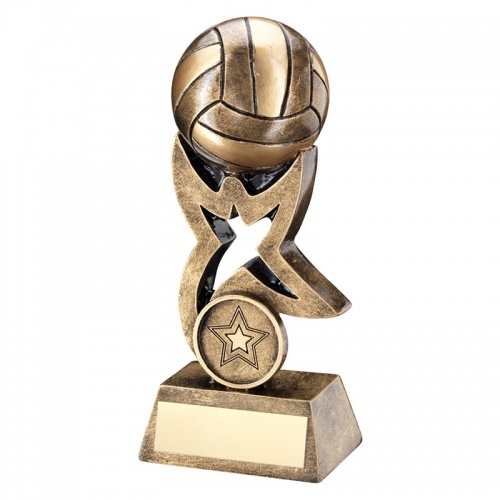 These affordable netballball awards feature a fully 3D ball set on a stylised figure shaped stand mounted on a bevelled base with engraving plaque. They have an antique bronze colour finish and include a 1in centre at the foot of the stand. 5.5in tall, these resin netball trophies are offered with custom engraving options.